We help you to create a Powerful Brand to enhance your Corporate Identity through Digital Branding Solutions. Isn’t it beautiful when everything comes together! Isn’t it a nice feeling you get when the same firm helps you to achieve your web, multimedia and Digital branding goals as well! Logo is an iconic representation of an organization and therefore, it has to be unique, attractive, simple and persuasive. 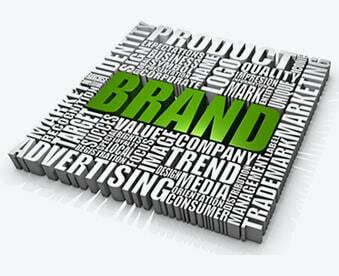 As it represents brand image of an organization, you need to be a bit particular about how your logo looks or how it communicates with your targeted audience. Logo design is an integral part of a company’s corporate identity. Our aim is always to create a unique logo design that represents your company’s identity and goals. A successful corporate logo design will give you instant credibility and a lasting recognition. Our logo and corporate identity designers are masters in that. Logo designers at ANGLER would design a scintillating new logo and corporate identity for your company that will make you memorable to all your customers, and paint you as a reliable successful company to those who might one day decide to do business with you. Brand Building is about your focus on a specific audience, on a specific message, and in specific communication strategies. ANGLER can deliver the right mix of rich content and design across different media to help you to evolve an integrated communication strategy. ANGLER has created the brand identity and logo for various leading companies both in the international market and in India. Our Creative Print design Services in India with an experienced team of working in different industry verticals will enhance the Digital Branding further both for your company and for your products / services. Nothing sells your company like a professional corporate branding or logo design, and nobody builds branding solutions like ANGLER. Have a look at our logo designs or simply contact us to more about how ANGLER can help launch a professional identity for your company!